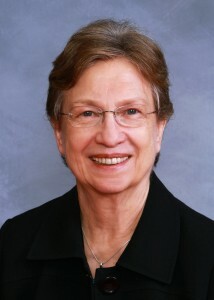 The 2nd North Carolina Postsecondary Education (PSE) Capacity-Building Summit – Leading the Way – will convene March 11-12 at UNCG to discuss inclusive education for students with intellectual and developmental disabilities and to celebrate the tireless work of State Rep. Verla Insko on behalf of individuals with disabilities and their families. Summit attendees will learn about current PSE options and investigate how opportunities can be expanded across the state. The summit will open with special recognition of Rep. Insko. During her 16 years in the N.C. House, representing District 56 in Orange County, Insko has focused on job creation and protection, defense of the state education system, helping the state’s most vulnerable citizens, and protecting the rights of all North Carolinians. Insko recognized the gap in services for transitioning high school graduates with intellectual and developmental disabilities and led the call for a comprehensive needs assessment of job training, independent living training, and continuing education in university or college settings. The General Assembly responded to Insko’s call by commissioning an Institute of Medicine blue ribbon task force in 2009. To fill service gaps for students with intellectual and developmental disabilities, the task force recommended developing postsecondary education options at state universities and community colleges. Through her efforts as the General Assembly’s representative to the North Carolina Council on Developmental Disabilities, Insko secured the research funding necessary to establish North Carolina’s first PSE option, the UNCG Beyond Academics program. Insko went on to champion allocations for the development of PSE options statewide, and the N.C. educational system now boasts nine PSE programs. Among these, the pioneering Beyond Academics program at UNCG remains the only four-year option. UNCG’s Beyond Academics program and UNC Chapel Hill’s North Carolina Postsecondary Education Alliance are co-hosting this year’s Leading the Way summit. Attendees will include educators, disability support service professionals, transition coordinators, counselors, administrators, students, families, and community members who support PSE development. The agenda includes “how-to” break-out sessions, planning workshops, and panels on topics including self-advocacy, employment, transition and engaging families. The summit will feature two nationally recognized keynote speakers – Stephan Hamlin-Smith, the executive director of the Association of Higher Education and Disability, and Cate Weir, the coordinator of Think College, Institute for Community Inclusion at the University of Massachusetts Boston. Hamlin-Smith has advocated for inclusion of individuals with disabilities in education and the workplace at local, state, and national levels. Weir provides technical assistance to the 27 model demonstration PSE sites across the country. The summit will take place at Elliott University Center at UNCG. View the full summit program here.